Ice cream sandwiches are some of the tastiest treats that life has to offer. But have you ever wondered what they would taste like with different flavored ice cream? What about strawberry flavored ice cream? That is exactly the flavor profile achieved in Strawberry Crunch by Tailored Vapors 100ML. It is a strawberry ice cream sandwich with crispy cookies holding it together flavored e juice. The flavor achieved in this e juice is nothing short of next level. The inhale is a mouth watering attack of luscious and juicy strawberries. So fresh and juicy that you might forget that you are vaping and not eating some. The exhale is a rich and creamy explosion of flavor, it is the perfect representation of ice cream that we have seen. Add a little crunch from a cookie and it is divine. The throat hit is subtle and almost undetectable. It is exactly what you would want from a smooth strawberry ice cream sandwich. 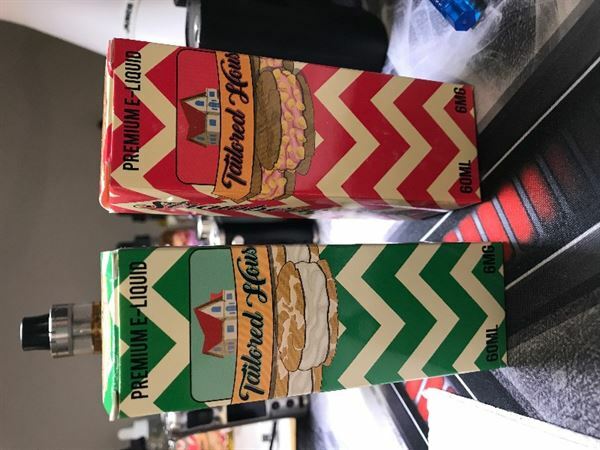 There is no burning or charring sensation whatsoever, allowing you to fully enjoy all the flavors in play, and to chuck the fattest clouds possible with the utmost ease. Tailored Vapors has been around for a while, and has been a contender as one of the top brands in the industry for the same amount of time. If there is one thing that we can say about these guys, it is that they know how to make some e juice. E Cigarette Empire carries 100ML bottles of Strawberry Crunch by Tailored Vapors in nicotine levels of 0MG, 3MG, and 6MG. This Is a great all day vape excellent flavor. Quick and easy process and shipped to us within the week. Great strawberry taste with hint of sweetness at the end. Very pleased.